For many homeowners, having the skill to save some cash by performing minor repairs around home is a blessing. However, when dealing with plumbing issues that may arise, it is important to know exactly what is manageable and what should be turned over to the professionals. 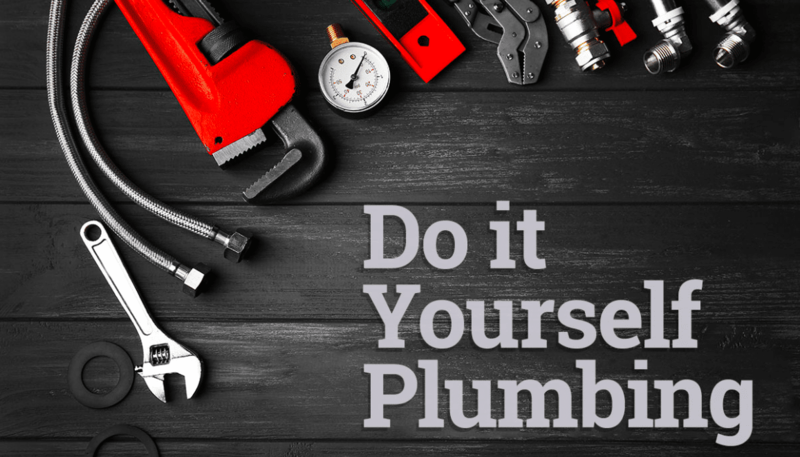 We’ve put together this post to help you better understand the difference between DIY plumbing repairs and jobs that only licensed plumbers should remedy. Drip…drip…drip… the sound of constantly dripping water is nearly as annoying to read as it is to hear. Not only is it the cause of annoyance for homeowners across the US, it is also a costly plumbing issue that can waste thousands of gallons of water every year! Most times a steady and repetitive drip is a sign that the washer on the faucet simply needs to be replaced. You can perform this task quickly and easily. Simply turn off the water to the faucet and unscrew the faucets handle. Take a close look at both the washer and the o-ring. If either or both parts are damaged (natural wear and tear will occur over time) replace both parts and reassemble your faucet. If that doesn’t solve the dripping you may need to call out Flow Plumbing to assist with the repair. It may be possible that you have a newer faucet equipped with a lever, rather than one with traditional separate knobs. Nearly as annoying as the dripping faucet, and even more wasteful in terms of water usage, is the next item on our list; the running toilet. If you hear a constant running sound after flushing your toilet or notice that water continuously runs into the bowl after a flush, there is likely an issue with your toilet tank’s lever. This is a relatively easy fix. Just pull off the tank’s lid and locate the chain. It will likely be lying at the bottom of the tank instead of where it should be, attached to the toilet handle. Simply reattach it and voila! There is one thing we will never recommend when it comes to clearing clogged or backed up sinks and drains, over-the-counter drain cleaners. Just don’t use them, period! They are dangerous, they cause more issues than they can resolve, they will cost you a lot of money in the long run. If a simple plunging or snaking doesn’t clear up the clogged drain issue you’re experiencing it’s best to call in Flow Plumbing to get your drains running smoothly again. When shower heads lose pressure it is usually the result of lime scale buildup that occurs naturally over time. Sometimes it happens evenly across the shower head, sometimes it happens in sections. If you have the time and patience you can try removing the shower head along with the spray plate and soaking them in a descaling solution like CLR. After soaking simply remove the shower head and plate and reattach. Your newly cleaned shower head should be pushing water like new! Garbage disposals can become jammed for any number of reasons. Most commonly they jam because of excessive food waste deposits into kitchen sinks. Regardless of the reason that has caused your garbage disposal to stop working, getting it working again should be a pretty straight forward process. Nearly every disposal comes with a reset switch located at the bottom of the disposal. Try resetting it. If that doesn’t work you can try using an Allen key to manually cycle the garbage disposal to move around and dislodge the jammed material. While most hot water heater repairs should be undertaken by a professional plumber, there is one very common and simple to remedy issue we see with gas water heaters. If you have a gas water heater in your home that has suddenly stopped working for no apparent reason it is likely due to a pilot light that has gone out. Simply locate your unit, locate the pilot light. If it is out relight it, if not, call a plumber. On our next post we will cover the most common plumbing services that should always be handled by a professional plumber. We hope you find the tips and advice in this post helpful. For any commercial or residential plumbing needs in or around Mesquite, Garland, Rockwall, & Dallas, don’t hesitate to give the team here at Flow Plumbing a call. We provide fast, affordable, and reliable plumbing service throughout the DFW!